The last few days might have been New York Fashion Week but if it’s summer tailoring you’re interested in, SW15 is where you should train your attention. The Wimbledon Championship has been a de facto fashion event for decades and this year, A-listers once again served up a masterclass in summer tailoring to match the event’s old-money dress code. These are the looks to steal and the rules to follow. When the temperatures are as stuffy as the dress code, linen and linen blends will save you from a sticky situation. Dominic Cooper is buttoned-up in a slim-fit suit, but he looks cool because the material is breathable. Besides, a Bjorn Borg-style sweatband just doesn’t work with tailoring. A separate blazer and trousers is more than okay in the summer, but it does sit on the casual end of the suiting spectrum. If it’s a wedding, or indeed the All England Club, you can keep things formal with the right accessories. As so often is the case in menswear, do what Beckham does: tie clip, lapel pin, pocket square. Game, set, match. Black and darker blue suits amount to a double-fault in the summer: they absorb the heat and you’ll stand out like Batman at a tea party. As model Douglas Booth does here, roll out some earth tones like sand, stone or olive. Lighter blues and greys are great, too. Extra marks for casual patch pockets and contrast accessories. If you’re a big guy, putting on a suit can lead people to mistake you for the door staff. England rugby player Robshaw side-steps that by opting for separates, the lighter layer on top making his Herculean shoulders seem less “Not on the guest list, mate”. Well, don’t ditch them completely. Hide them instead by wearing invisible socks that will keep you loafers fresh. Going ‘sockless’, like American writer Derek Blasberg, is a breezy way to stay on-trend while also ventilating your legs. An obviously casual move, this works better on separates than it does on a full suit. 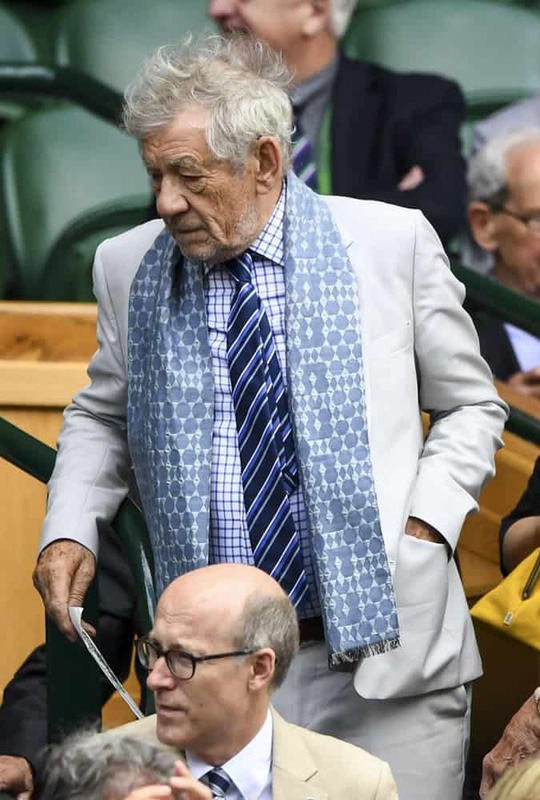 A scarf may be a counterintuitive choice for looking cool in the heat but as Sir Ian expertly demonstrates, it can complete an outfit when the dress code says ‘smart’. Keep the colour tonal with the rest of your suit and stick to light fabrics like linen or silk. *Adopts booming Gandalf voice* You shall not sweat! 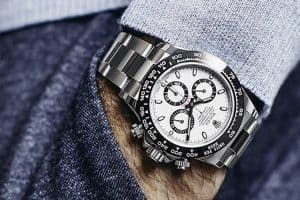 The Best Watches Of Baselworld 2019 From TAG Heuer to Rolex The Best Weekend Getaways For Every Type Of Traveller Travel more, for less. You deserve a break Does The World Really Need Unisex Fashion? There's finally a trend for everyone, but does it fit ...anyone?